This is a better than average addition to the pantheon of YA fantasy featuring young women with extraordinary ability. Born with the mark of those capable of wielding powerful magic, Elli is chosen by the Elders as the next Queen. Raised in luxury, a prophesy predicts she will be the most powerful ruler yet. 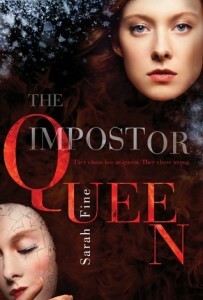 But when the current queen dies defending the kingdom from invasion, Elli’s magic fails to manifest. Vilified, she flees, saved from certain death by a handsome outlander who possesses illegal magic of his own. It’s with his secretive people that she begins to question the known world and her role in it. This book captured my interest from page one despite too much unnecessary running around. I would also have preferred it to stand alone, and not be part of the ubiquitous three-novel trilogy, but it’s still a decent read. If you enjoyed Throne of Glass by Sarah Maas or Shadow and Bone by Leigh Bardugo, you’ll like this one, too.